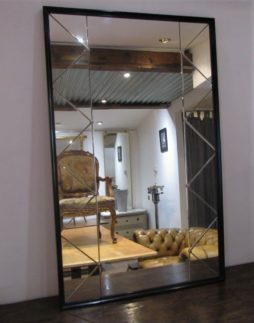 Mid-Century Furniture | Page 6 | Interior Boutiques – Antiques for sale and mid century modern furniture, french furniture, antique lighting, retro furniture and danish furniture. 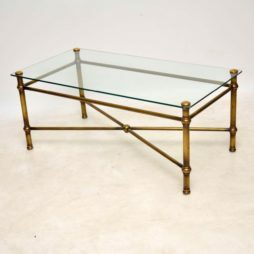 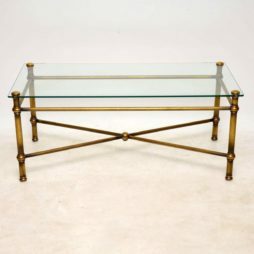 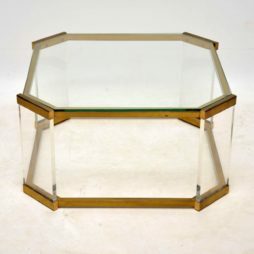 A stunning vintage coffee table made from perspex and brass, with an inset glass top. 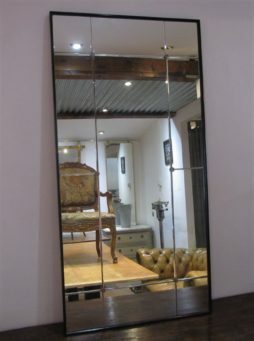 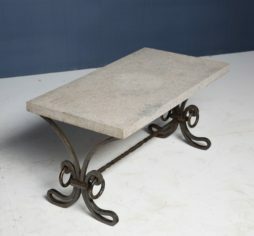 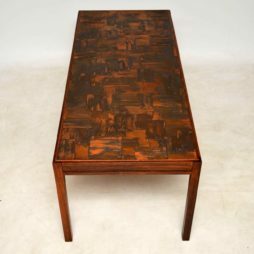 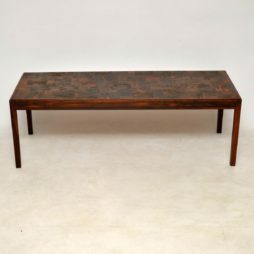 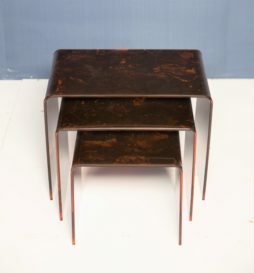 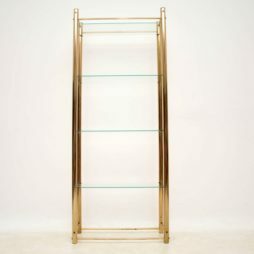 This has a beautiful design, is very well made and is in lovely vintage condition. 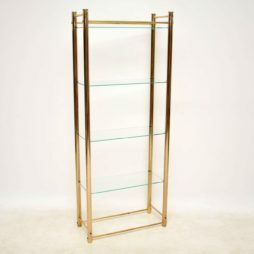 It’s clean, sturdy and sound, the brass has nice patina and the perspex has only some minor wear. 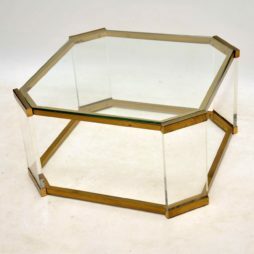 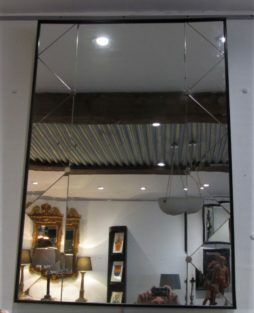 The inset glass top has one small and shallow chip on one edge, but due to the position this is hidden and hardly noticeable at all when in place, close up seen in the images. 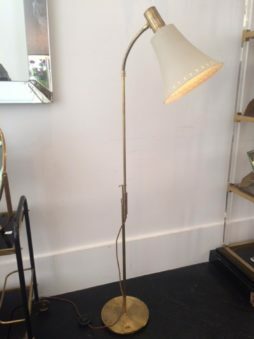 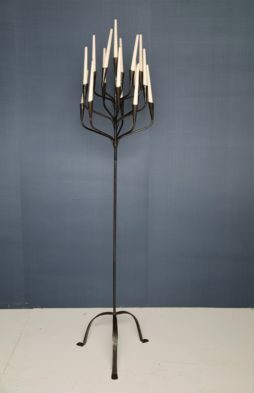 Lovely brass floor lamp with adjustable height and swivel action and perforated metal shade. 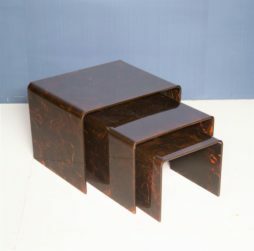 Ca.1950s.